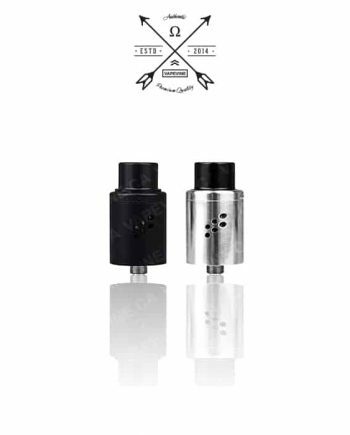 100% Authentic Vandy Vape Icon RDA. Vandy Vape teamed up with Mike vape’s to create this fantastic rda, the Icon. This RDA is a treat to vape on, being a very good rebuildable all around. The deck and posts are gold plated and the posts are raised in the middle for simple installs! 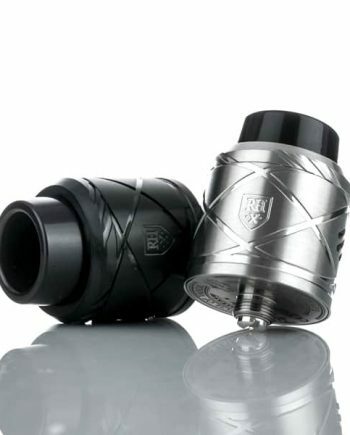 The juice well can hold a massive amount of juice, as well as being sqounk compatible with its BF pin which is included. Even the airflow is interesting with it’s unique side hitting design, where the airflow comes in on a sideways angle! The airflow can even be used for both dual and single coil builds! This gives surprisingly good flavor! As well as having a conical top cap for even more flavor production! 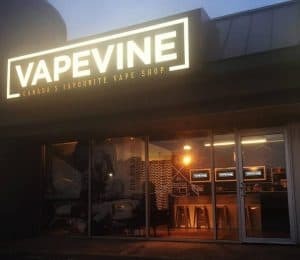 On top of all this, they even include 3 different 810 drip tips and a 510 adapter!